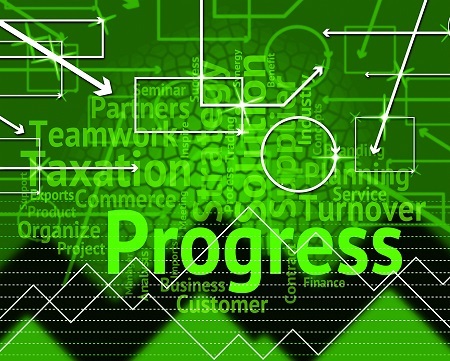 Business Progress is the alignment of Marketing, Sales and Customer Service activity, creating more revenue at lower operating costs. Deciding on a product for managing customer account information is not as easy as it seems. Considering all the advertisements claiming “Ease of Use” and “Quick Implementation,” CRM should basically run itself! Many times, these descriptions tap into what you think you want, headed up with glossy advertising. Naturally, you head in the direction of selecting the system that says it is easy to implement and use, with plans of keeping your current approach to customer information consolidation. The truth of the matter is, you will spend a lot of time and money on a system you will probably never fully understand. Recreating your organization's current style of contact management in a new product is a failing endeavor. How you approach a CRM purchase drives the outcome of system use. Let’s take a look at how the majority of companies add CRM to their suite of company software. After doing some light searches for Account Information Management, Contact Management, Customer Relationship Management, CRM, or any other variation, you happened on a number of highly marketed CRM software products. Salesforce.com was probably at the top of most of these searches. After a “Contact Us” page was submitted, the $8.3 Billion company, Salesforce.com, played you a canned sales process, consisting of your self described pain points. The SF.com representative prospected you with your own biggest issues and limited the discussion to as little time as possible. Generally, a series of 'soft closes' are used to handle resistance and perception check your readiness to purchase. After consistent, persistent follow-up, a CRM product sale is made. CONGRATULATIONS! You are now ready to work better, faster, stronger, and longer with greater results! 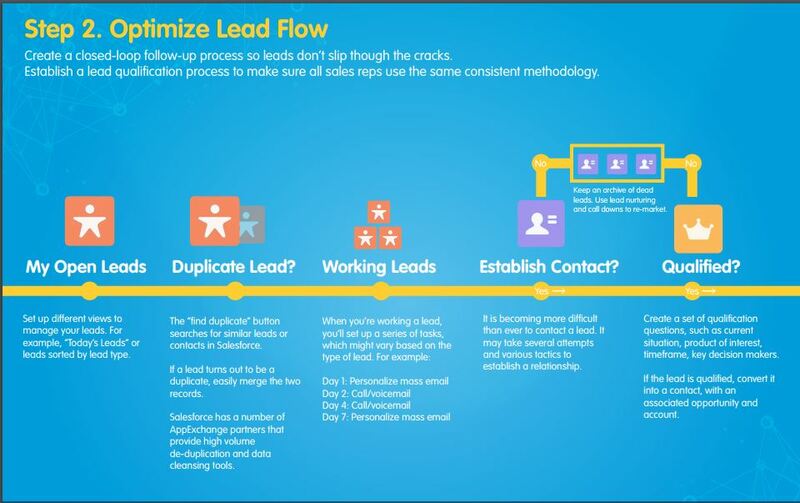 Salesforce.com is the best CRM product marketing company on the planet. They have grown exponentially since 1999. Their sheer volume of CRM sales, in a multitude of front office applications, is astounding. They service organizations from small business, impulse CRM product purchasers, to enormous enterprise implementers like Victoria's Secret. Salesforce.com has “Seamless” third party connectors, which are certified to a professional standard and endorsed by Salesforce certification. With all of this information and all of the companies purchasing Saleforce CRM product(s),why wouldn’t this Customer Relationship product be the ultimate answer for every business? 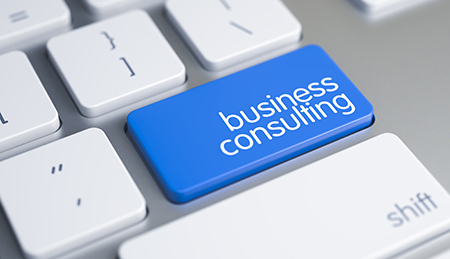 CRM Strategy starts with understanding what business consulting is needed to align Customer Relationship Management with business case use. Unfortunately, there is a disconnect in the software industry. CRM and software providers, on the whole, sell products. They are especially good at selling CRM products to selection consultants representing organizations buying products. A CRM product sale is convenient and instantly gratifying, especially when a consumer is convinced a product is what they should buy. Understanding that a business doesn’t know, what it doesn’t know is the first step in the right direction. Taking a look at the effects of CRM on all levels of an organization redefines the type of software purchased. Unlike software that works for only one division of an organization-- accounting, for example-- customer relationship software generally encompasses three critical divisions in a company: Marketing, Sales, and Customer Service. Because customer “Relationship Management” spans Marketing, Sales and Customer Service, the categorical information governing processes is wide and deep. Understanding that all three departments have unique workflows specified over the life of the organization can better help companies understand front office workflow. Where accounting software is generally following academic principles, influenced by industry (Manufacturing, Distribution, Hospitality, Retail, etc…. ), CRM is consolidating information from a framework unique to the relationships between Marketing, Sales and Customer Service. Driving marketing content to sales opportunities, which ultimately generates sales orders for customer service to support. This is CRM activity. Accounting proves revenue, CRM processing creates and distills it down to sales volume, margin, profit and/or loss. This is company progress. Businesses looking for CRM don’t know native CRM functionality. CRM solution providers don’t know the unique business processes for every company. To create a solid customer database with logical contact and account management, there are some questions to prepare to ask and/or get answered. These questions should be the “Discovery” step for the organization purchasing a CRM software. Understanding that Customer Relationship Management is a strategy to execute assigned tasks to a focused end will help you crusade your organization's goals. Because CRM encompasses Marketing, Sales and Customer Service Management, best practices gathered over the last 40 years and many complimentary workflows have been combined. These help create starting points for businesses running previously unknown workflows to attain various business-defined goals. By taking a high level approach, working from executive management perspective down, businesses can create an effective framework for product purchase. Once this type perspective is defined, you must understand the system from the user perspective, to facilitate buy-in from front office users. Only then will the rubber meet the road, where users want to participate in the active management of a CRM system. Knowing that software companies try to sell you what you want to buy, and that businesses try to purchase a plug-and-play product without much organizational change, is only half the battle. Do not let your organization fall into buying a front office organizational product without consultative leadership. This will guarantee a slow return on investment and cause attrition amongst your tenured employment. Always remember that people and processes come first, and software second. Did you know a failed sales tax audit can cost hundreds of thousands in penalties, fees, interest and professional counsel? Join us on September 12 at 1:00PM ET to hear from sales tax experts, Avalara, about how automating exemption certificate management and sales tax compliance can protect your company, and save you costs and headache. Engineering departments are challenged to keep up with time requirements to input accurate Bill of Material and Item data into both CAD and ERP. 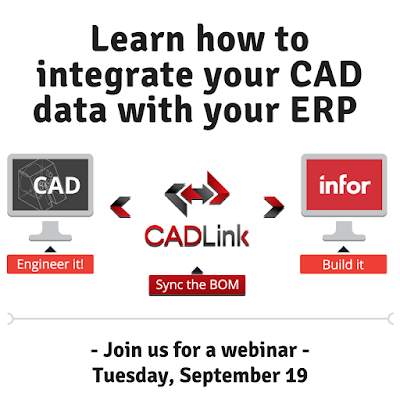 CADLink provides an automated solution to integrate CAD data with Infor VISUAL and Infor CloudSuite Industrial. Learn from Infor Solution Partner, QBuild, about how you can increase the speed of data flow, while eliminating manual data entry, clerical errors, and the need for exporting/importing data files with CADLink.